Make up to 5 DNC Lookup requests. Have a question about DNC Lookup results? Check out DNC Lookup documentation here. Looking for a batch DNC list scrub? RealPhoneValidation offers DNC Lookup a fast, affordable Do Not Call compliance solution. Is Your Business in Do Not Call Compliance? RealPhoneValidation encourages all businesses to check do not call list and take the necessary precautions to stay compliant with Do Not Call rules & regulations. It’s easier and more affordable to stay do not call list complaint by running your numbers through a Do Not Call list check before you start making calls then to receive a do not call violation and have to pay fines and legal fees after the calls have been made.  Our DNC Lookup service is offered as a batch service to instantly scrub existing lists or as an API to perform a DNC check at point of entry on web forms and apps. Our service is updated daily and returns information from each of the 3 Do Not Call databases: the National Do Not Call Registry, State, and DMA. In addition DNC Lookup identifies which numbers are cell phones, to help you stay in call compliance with TCPA regulations. Our Do Not Call scrub is 100% accurate. Our records are updated daily directly from the Federal Trade Commission’s do not call registry guaranteeing DNC lookup accuracy of 100%. DNC Lookup is located in the Select Validation Method dropdown menu. The first time you use the DNC Lookup service you will be asked to enter your SAN information. For complete DNC Lookup documentation see DNC Lookup API or batch instructions. The National Do Not Call Registry was started by the FTC as a way to protect consumers from unwanted sales calls. Registering is free and anyone can sign-up by visiting donotcall.gov and registering their number. DNC list scrubbing is a way of identifying numbers that have signed up to be on the federal, state, or Direct Marketing Association’s Do Not Call lists. Without conducting a DNC lookup, phone numbers listed on the any of the DNC lists could easily be dialed, putting your organization at risk for fines and penalties. It doesn’t matter if the call was placed intentionally or by accident – you will be held responsible. What is a Subscription Account Number (SAN)? A Subscription Account Number or SAN is the number that identifies an organization that has agreed to abide by regulations set forth by the FTC and has registered for an annual subscription to the Do-Not-Call Registry. RealPhoneValidation requies that you enter your SAN before submitting your DNC check. Any organization that is selling or marketing services or products by telephone. How do I register for a SAN? Record your SAN, organization ID, and passwords. 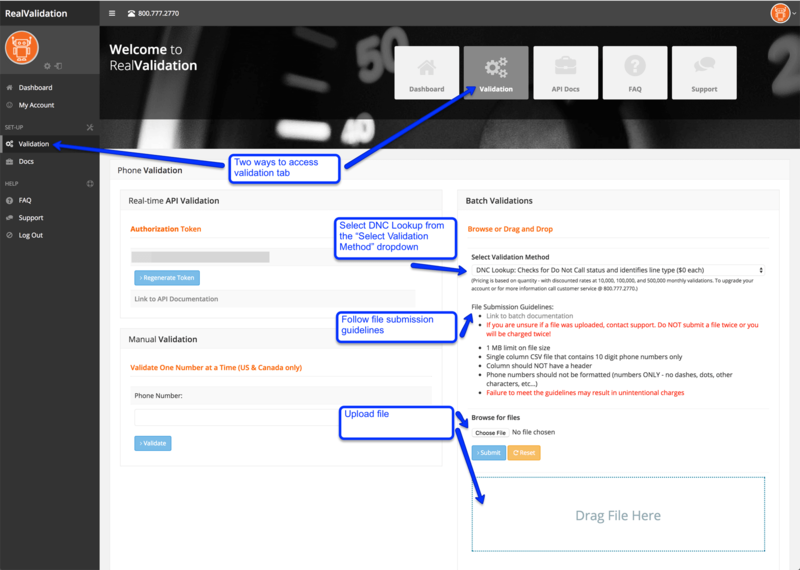 You will be required to enter your SAN, Organization ID, and SAN expiration before using RealPhoneValidation’s Do Not Call Lookup service. After enrolling you will receive an email to activate your account. Once your account is activated login to assign a representative and choose the area codes you would like to subscribe to. For help selecting your desired area codes, refer to: nanpa.com. DNC Scrubbing is easy and the first 100 lookups are on us. There’s no contract and no credit card required to get started. Looking for more than just Do Not Call List Check? We offer a complete line of phone data services.